Priory Park is a particularly picturesque park, not only does it have a large children’s play area, it has a lake, a woodland walk, a cafe, beautiful walled formal gardens and it’s the home to Prittlewell Priory Museum. The Priory originally formed part of a Cluniac Monastery dating back to 1180. There are plenty of nice spots for picnicking and letting the kids run off some steam. The museum is free to enter and if you particularly enjoyed your visit then donations are welcomed. Free parking onsite (although not a huge car park). Hanningfield Resevoir in Downham, Billericay is a great family day out. Stick on your wellies and take a wander through the woods to spot the well known characters from Wind in the Willows. A special map is available to purchase at the visitor centre. At each sculpture you can use the back of the map to make your very own brass rubbings of Badger, the Weasels, Ratty, Mole and Mr Toad. You can visit for free but there is a suggested donation amount of £2 per adult, £1 per child or £5 per family. They also offer a range of children’s activities during the summer holidays for just a £3 donation. Check their website to see what events are running. The visitor centre has a refreshment area, gift shop and toilets with baby changing facilities. There is also a viewing area with views out across the Reservoir where you can relax and enjoy watching the wildlife. Open Daily: 9am – 5pm. Langdon Visitor Centre is in Lower Dunton Road in Basildon. It is a lovely nature reserve with a trail, meadows, woodlands and lakes. As you take a wander around the trail you will meet wonderful wooden characters from Peter Rabbit. They also offer lots of children’s activities during the summer holidays from scavenger hunts to making arts and crafts for just a £3 donation. Check their website or Facebook page for details. The visitor centre sells refreshments, has a gift shop and toilets with baby changing. To the rear of the visitor centre is a pretty wildlife garden. Hollytrees Museum is a great museum set in Colchester Castle Park overlooking the picturesque Colchester Castle. There is a cafe, formal gardens and children’s playground with large sandpit play area to explore. The museum gives a glance into life in Colchester and how it has evolved over the years. It has some really interesting exhibits and interactive parts to keep the kids interested and entertained. Parking is not available on site, you would need to use Colchester Town car parks. You can visit the Castle Museum but there is a fee to enter. Another great free kids day out in Essex is Weald Country Park. It is set within 500 acres of parkland in Brentwood and home to The Stickman Play Trail. A fun trail bringing to life the story by Julia Donaldson encouraging imaginative play. A gorgeous walk through the woodland and parkland with activities to explore at each stop. It really is a lovely walk round and the children love investigating and playing around the wooden structures. You can purchase a map at the visitor centre. There is also a deer to visit, cafe, play area, gift shop and toilets. Hylands House is based in Chelmsford in Hylands Park. The Grade II listed house is set in gorgeous landscaped parkland, with pretty formal gardens to explore, a cafe and adventure castle play area. Free entry to the park and free onsite parking. To enter the house is £3.80 for adults and free for under 16s. Please check their website for opening dates and times of the house and cafe. Please also be aware that it will be closed for visiting during a weekend in mid August for a Festival. The museum in Canvey Island is the home to a selection of vintage buses, coaches and classic cars. In addition to the museum there is a model railway and gift shop selling die-cast models and transport souvenirs. Open the first and third Sundays between April and October. Opening times 10am to 5pm. Chelmsford Museum is actually in Oaklands Park situated Moulsham Street, Chelmsford. Set within gorgeous grounds with two fantastic playgrounds for the children, one for older children and one for younger. Chelmsford Museum has some really interesting exhibits and also houses Essex Regiment Museum. During the summer holidays they are hosting a number of themed craft sessions for school aged children. Children are encouraged to get creative, using the museum’s collections and displays for inspiration. £3 per child. Free entry and free parking is available onsite. Please note there is some renovation work going on during 2018 but the museum is still open. Rayleigh Windmill is a 200 year old Grade II listed building where you can learn how the Windmill worked, climb to the top, try the quiz in the museum, dress up in traditional costumes. Entry is free of charge but a donation of £1 per person is suggested. See our full review of Rayleigh Windmill here. Please check in advance as they close for some private events at weekends. Parking is at Mill Hall Car Park which is a paid for car park but free after 1pm on Saturday and free all day Sunday. Great Notley Discovery Park is situated in Braintree. A great place to explore with the kids with interactive play equipment and sensory trails. There is a cafe onsite, toilets and car parking. The visitor centre and cafe is open daily from 10.00 till 16.00. (Except 25 December). 11. Thames Chase Nature Reserve. Thames Chase Nature Reserve based in Pike Lane, Upminster has a great nature trail with activities as you go round. It also boasts a play area, very nice cafe, gift shop and bicycle hire. It’s a great place to take the kids bikes to cycle round. There are some great wooden structures as you go around the trail for the kids to play and climb on. They are organising a range of children’s activities through the summer holidays on Tuesday, Wednesday and Thursday each week from 25th July to 24th August between 10:30am and 12:30pm. £3 donation per child. Opening times: 10am-5pm weekdays and weekend (10-4pm in the winter). Includes café and shop with toilets and baby changing. Parking is onsite for a small fee. 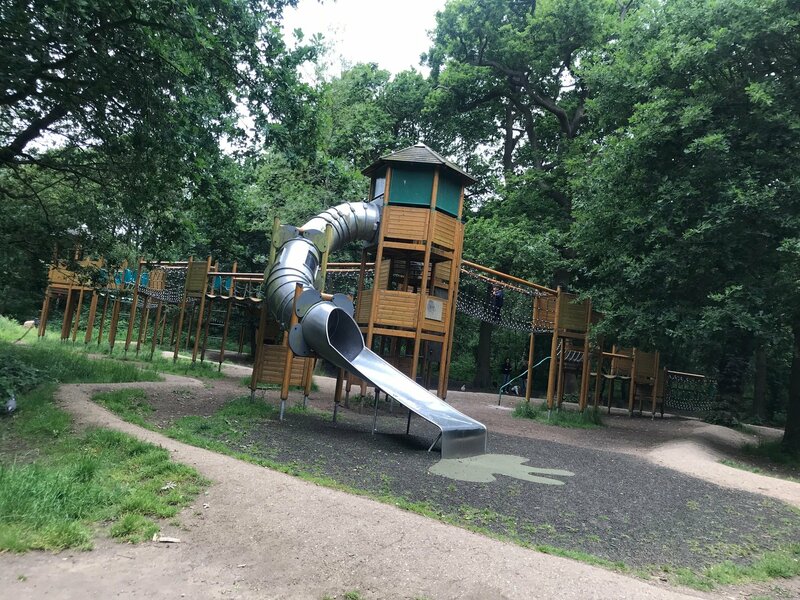 Wat Tyler Country Park in Pitsea, Basildon has 125 acres of country walks, wildlife spotting adventure play area for kids and a miniature railway. The park has a fascinating history and was originally an explosives factory. There are informative signs as you walk around the trail. There is a cafe and gift shop onsite with toilets and baby changing. Free entry and free parking onsite. Railway runs in the school holidays, adults £2.50 and children £1.50. Monday to Sunday 10:00 – 16:45. Hadleigh Castle is situated in Castle Lane, Hadleigh. The ruins of the castle are set high upon a hill overlooking the Essex marshes and Thames estuary. A gorgeous spot for settling down for a picnic and letting the kids let off some steam exploring the castle ruins. Free entry all year round at any reasonable time. It is situated right next to the Salvation Army Tea Rooms and Rare Breeds Farm with car park. Please note there is a charge for car parking. Entry to the Farm isn’t free but it is very reasonable and is well worth a visit if in the area. They have a Willow maze, play area and lots of rare breed friendly animals to see. The Gruffalo Trail is in Thorndon Country Park North in Brentwood. It’s a great walk through the forest spotting all your favourite characters from The Gruffalo books by Julia Donaldson. There is a visitor centre where you can purchase a trail guide for 50p. There is also a gift shop, cafe and toilets with picnic area. Free entry and parking onsite. There is a charge for parking. You can get an all day wrist band for £5 to go on the fairground rides! It’s brilliant value for money and lots of rides to keep the little ones happy. They also have the beach right next door, soft play centre opposite just in case it rains and Movie Starr cinema where tickets are just £3.50. Cammas Hall Farm is set in the Essex countryside, just outside Bishops Stortford. A great spot for strawberry and fruit picking. They have a lovely outdoor play area, cafe and farm shop. They also hold many events throughout the year and its also a great spot for pumpkin picking come the Autumn. See our full review of Cammas Hall Farm here. I would definitely recommend a visit there. 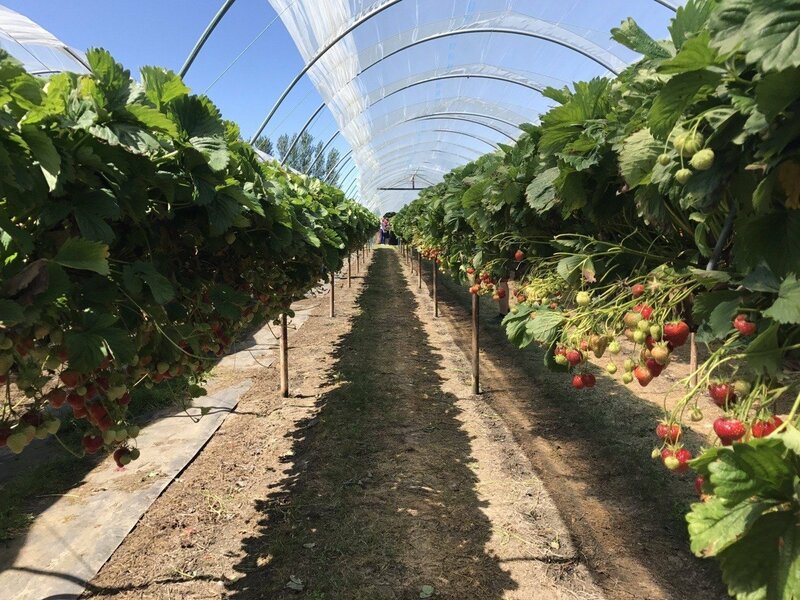 It’s best to check their website or Facebook page first before going to find out whether they have strawberries ready for picking. An absolutely fascinating place, small but packed full of interesting facts and information and has an area aimed at children. They often run events throughout the year for a few pounds donation. All monies raised go directly to the Essex Police Museum to help fund it. We had great fun going round the museum on a treasure hunt and was awarded a mini magnifying glass for completing the challenge. Visit their website for further information. 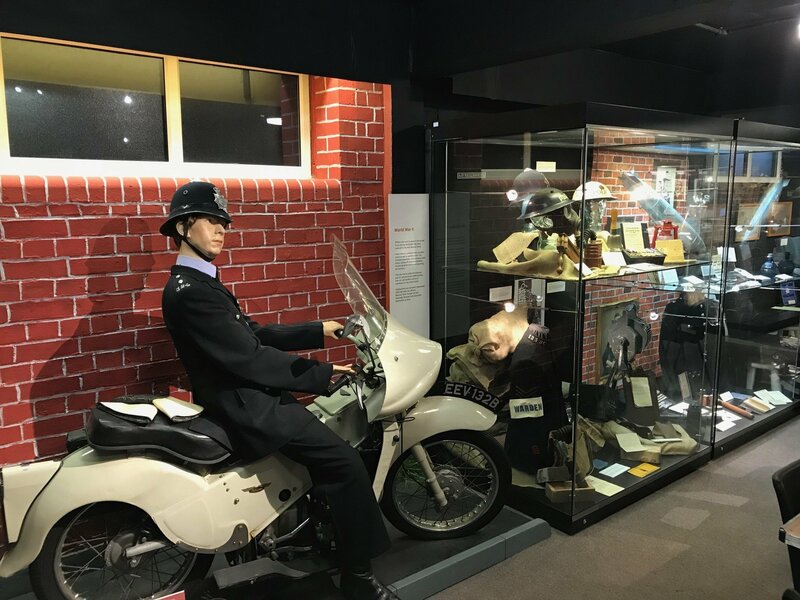 Essex Police Museum, Chelmsford CM2 6DN. Belfairs Woodland Centre in Leigh on Sea in Essex is a great spot to wander through the woods or play in the large wooden play area. They often hold many themed events and crafts during the holidays for a small charge per craft. Some are drop in and some are pre-bookable only. For more information visit their website. Parking is free and there is a cafe nearby. Essex Wildlife Trust are holding lots of fun events at the other centres, but many of them you need to book in advance so I would advise visiting their website first. They range from Button Crafts, building bird boxes to Space Days and Fairytale Fun. The Museum includes numerous power-related exhibits that will interest all ages, many working examples of various power sources, machinery, equipment and tools. In addition, in the former workshop, the Steam Pump Tea Rooms offer a selection of refreshments. Outside in the grounds more attractions can be found including a model village, picnic area and the miniature railway. They hold lots of events over the holidays for example Science and Art Workshops. Entry fee applies. Adults: £5.00; Concessions: Senior citizens and students: £4.50; Children 5 to 15 incl £2:00; Children 4 and under: FREE. Please visit their facebook page or website for further details. Museum of Power, Hatfield Road, Langford, Maldon, Essex CM9 6QA. Tel: +44 (0)1621 843183. Hopefield Animal Sanctuary in Brentwood gives a home for life to sick, unwanted and mistreated animals such as horses, donkeys, goats, sheep, pigs, chickens, geese, ducks and cats. Open to the public daily. They run themed events throughout the holidays. £5 per adults, children £4 each and under 3’s FREE. Extra Animal Experiences help the sanctuary raise much needed funds and gets you even closer so you can help feed and groom. There is a play area and cafe onsite and free parking, Please check their website or facebook for further details of their special events. I hope our list of Free Kids Day Out in Essex helps and inspires you. Please let me know if there are any great places I need to add to the list. Please note all information is correct at time of publishing, please check venue websites or Facebook pages before you visit for up to date information or changes. Thank you for reading ‘Free kids days out in Essex!’. If you can think of any other great free days out in Essex, let me know! Priory Park in Southend also has free concerts on Saturday and Sunday afternoons in the summer months, 3-5pm given by local bands, choirs and groups. Thames Chase Forest Park has disability bikes for hire as well as ordinary bikes but you need to ring first. Canvey Island – the £5 wrist bands are at Leisure Island park not Fantasy Island, which is the larger rides park next door. Also on Canvey is Stay and Splash paddling pool at The Paddocks but it is vsy popular on hot days! Aw thank you, another Eden Rose! Good choice lol!